To furnish the varying desires of our customers, we are immersed in offering a world class consignment of Round COB Downlights. 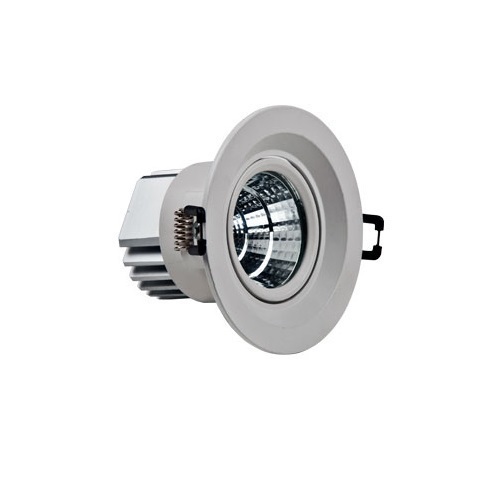 Crystal reflectors and ridged aluminium heat sink provides for an optimum light output in this COB series. Established in the year 2014, at Mumbai (Maharashtra, India), we “Viscotex Energy Pvt.Ltd” are a reputed firm engaged in the business of manufacturing a comprehensive assortment of LED Tube Lights, LED Bulb, Panel Lights and LED Downlights, etc. Our range has gain high accolades and wide prominence in the market due to the special features like easy operations, eco-friendly nature, high quality, longer working life, easy installations and excellent performance. In order to meet the varied requirements of these sectors, we offer our product in various specifications which can be further customized at affordable prices.